Awesomest. Keyboard. Ever. 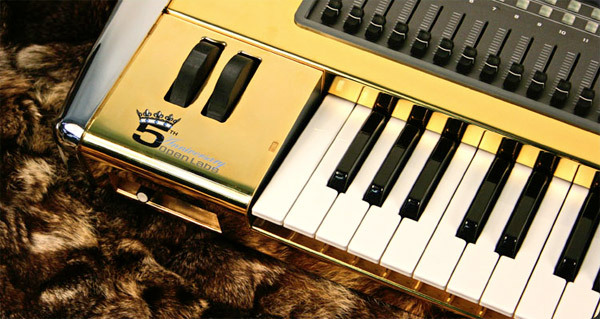 NeKo’s LUX Keyboard is dipped in 24kt gold, packs 4GB RAM, a 4 Terabyte hard drive, Blu-Ray burner, 10 audio ins/outs and 100,000 preset sounds.